It feels like the summer season of 4-H has already started and it’s only May! 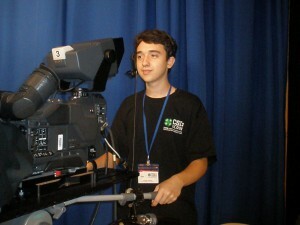 The fifth annual national 4-H film festival – FilmFest 4-H – will be held next month in St. Louis. Read some of the topics to be covered by film media professionals as they work with teen film-makers from across the country. 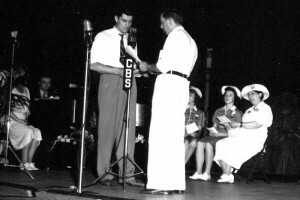 May 1922 saw the beginning of 4-H radio promotion initiated by the National Committee on Boys’ and Girls’ Club Work. From then on, the role of radio in 4-H evolved and expanded in step with changes in the program’s focus and in audience needs and interests. Who was the Honorary Chairman of the Board of National 4-H Council in 1984, and where did that group meet in May of that year? It marks a decades-long tradition about which there’s discussion to renew. The 90-year-old 4-H Supply Service – 4-HMall.com – unveils a new venture into e-commerce. Do you know a member, alum or leader who deserves a 4-H Gift Card? Here’s the place to get it. What if your 4-H Camp was once used as a POW camp in a world war; shouldn’t that important bit of 4-H history be recorded? Having gone live on April 28, the internet-based atlas of 4-H seeks nominations of historically-significant people, places and events to be documented on this interactive site. Get your county or state 4-H history on the map! 1890 Land Grant Universities have a rich history in 4H youth development. With 2015 being the 125th year of the Morell Act which created the 1890 schools, those institutions are collecting their unique chapters of the National 4-H History story. Here’s how you can help. If it’s as hot where you are as it is here, pour an icy glass of lemonade, find a hammock and enjoy this issue.